Today, sampling rates are running higher than they once did. 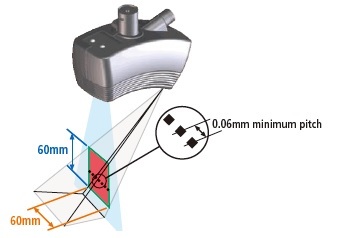 Equip your CMM with laser or light technology. With the need for higher inspection speed, non contact CMMs was created. Research has shown that approximately 40% of modern inspection workload are handled using non contact coordinate measuring machines. It is important to note that non contact CMMs are just one of the equipment used to facilitate non contact inspection procedures. Other equipment used under this inspection niche includes laser micrometers, vision measuring machines, profile projectors, and microscopes. 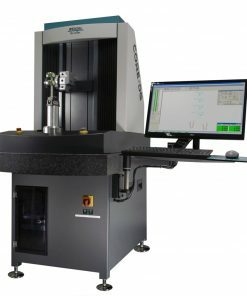 At Willrich Precision, you can find the latest non contact CMMs for your metrology measuring needs. Willrich Precision was founded in 1971. Our company has been serving the metrology, inspection, and gaging industry by being a leading retailer of a stellar range of precision measurement instruments, including non contact CMMs. With more than four decades of experience in the business, you can be sure that the products we carry are made to the highest standard of workmanship and quality. At Willrich Precision, you can find the latest contactless coordinate measuring machines from our wonderful Non Contact CMM range. What’s more, we are highly committed to helping you clinch the best deals that entail significant savings. Start shopping with us today!